You can also work out at your gym, most gyms have TRX stations now a days. You will be working 3 times a week. You can pick which days to work out but I would pick 1,600 calories days because I know I will be hungrier on those days. You will not do ANY cardio. There is studies that cardio is not beneficial for weight loss, especially for petites. Have you ever felt hungrier after you go on a run and end up eating more than you planned? Yeah, that is going to be a no for cardio. Strength training is the way to go for petites. The more lean muscle we have the more calories we burn. We will be leaner and look good – win-win. Even though you won’t be working out more than 3 times a week, you must still be active at least 60-90 minutes a day. As petite women sitting around for hours and hours is not good for our small frame. So, take a walk, clean your place, anything that will keep you moving 60-90 minutes a day. I like to stand up while I am working. Try to watch no more than 2 hrs. of tv a day. I want you to weigh yourself at least every 2 days. Take a picture on your first day, then at the end of your first week. Follow the same pattern, at the beginning of a new week take a picture then take a picture at the end of the week. It does not matter when you start but whatever day you pick of the week make sure you are following the 3 day cycle and repeat the cycle for 21 days. Try to find a work out buddy to keep you accountable! 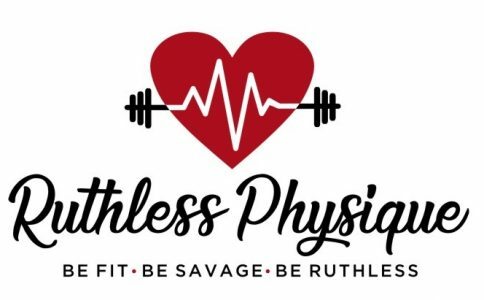 Reach out to me at ruthlessphysique@gmail.com for help with diet and exercises for free!